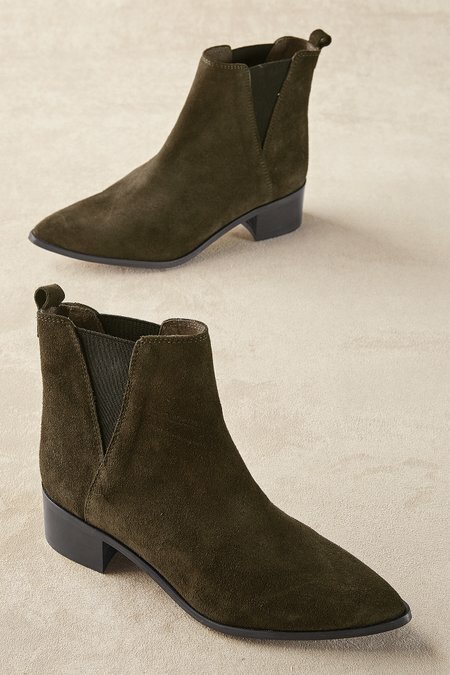 This sleek suede bootie from Portugal picks up on current Euro trends. Detailed with a pointed toe, stacked heel and easy-access elastic gussets, they're the perfect height for your many looks. 1-3/4" heel.